When I heard about this expo from a fellow CPN member, I was giddy with excitement! I can't believe I had never heard or been to one of these. So of course I'm all over this now. 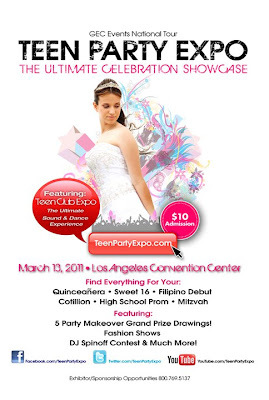 The "Teen Party Expo" was created with the teenager in mind. It is designed to focus exclusively on everything a girl/boy will need for a Quinceanera, Sweet 16, Filipino Debut, Bar/Bat Mitzvah and High School Prom. 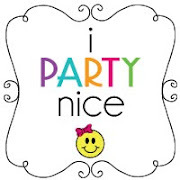 Having a tween, going on teen, I definitely need all the insight on these type of parties I can get. I am super excited about this expo and hoping to connect with fellow party gals. If you're planning on attending give me a holler! What do you get with VIP admission?